It’s time to get ready for another holiday! Didn’t we just survive Christmas and New Year’s??? Now I have to switch gears and plan new crafts! 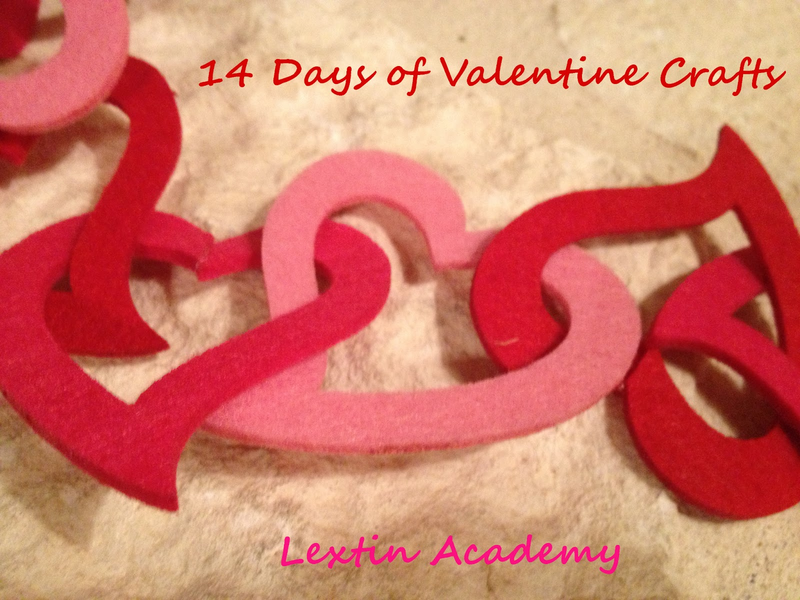 We’re crafting each day until we hit Valentine’s, so join us as we make a big mess and decorate Lextin Academy for Valentine’s Day! One doilie, one brush, one paper, one paint color. Easy! He was more than a little excited when we peeled that doilie off.